The West Orange – Cove CISD Education Foundation will partner with the community to enrich teaching, inspire learning and maximize innovative opportunities for students in the West Orange – Cove Consolidated Independent School District by providing funding for educational opportunities not normally available through or from traditional funding sources. • To partner with the community in promoting and developing quality education for students of WOCCISD, the leader and workers of tomorrow. Since the WOCCISD Education Foundation began awarding grants in 2011, 50 grants in excess of $110,000 have been awarded to classroom teachers in the WOCCISD school system. Inspired by the life of Eva Bready, whose love of learning and innovative and dedicated teaching prepared a generation of students to excel, and by the life of Gerry Bready, whose career in math and science enriched his community; the West Orange – Cove CISD Education Foundation seeks to ensure the success of future generations of students and allow them to experience the wonder and exploration of science, math and other academic disciplines. 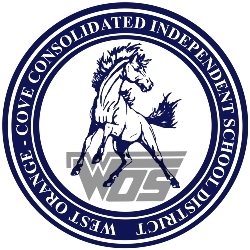 The West Orange – Cove CISD Education Foundation is a non-profit, tax exempt 501 (c) (3) public corporation, which meets quarterly. The Foundation will accept gifts of cash, checks, property, insurance and will bequests, as well as in-kind products and services. All donations can be sent to WOCCISD Education Foundation, P.O. Box 1107, Orange, Tx. 77631. Six teachers at West Orange – Stark Elementary and West Orange – Stark High Schools were surprised today by the presentation of more than $20,000 in grants by the West Orange – Cove Education Foundation. (See related press release on this page; Grant Awards_2016.pdf). A total of eight grants were presented to teachers at North Early Learning Center, West Orange – Stark Elementary, West Orange – Stark Middle, and West Orange – Stark High Schools. 2014 West Orange – Cove CISD Education Foundation grants totaled $21,604.34. (See related press release on this page; Grant Awards_2014.pdf). The WOCCISD Education Foundation surprised teachers at five different WOCCISD campuses with grant awards for innovative teacher. A total of 11 grants were presented, totaling more than $24,000. (See related press release on this page; Grant Awards_2013.pdf). The West Orange - Cove Education Foundation distributed over $26,000 in grant awards in January 2012. Note that one grant was provided with additional funding to increase actual awards to over $27,000. (See related press release on this page; Grant Awards_2012.pdf). Please see this exciting document for photos and follow-up stories about 2011 grant awards (newsletter.pdf). The West Orange - Cove Education Foundation distributed over $17,000 in grants awards in January 2011. A press release with grant award information is available for viewing on this site (See related press release on this page;Grant Awards_2011.pdf). Please download a copy of the WOCCISD Education Foundation brochure. It is available on this website (EDfound.pdf). A West Orange - Cove CISD Education Foundation website is currently under construction. A direct link to the site will be included on this page once construction is complete.